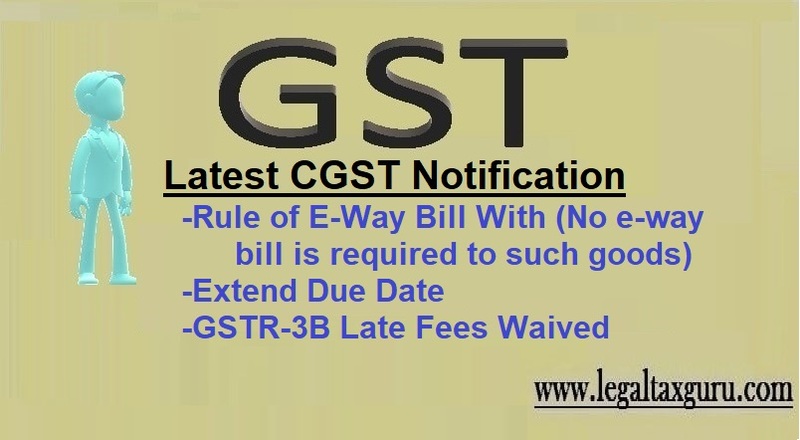 Latest CGST Notification (Related to Waived late fees of GSTR-3 month of July-2017, Amend the Rule of E-Way Bill, Extend Due date of GSTR-6 and 5A. 28.08.2017 Click Here 26/2017-Central Tax,dt. 28-08-2017 Extend time period for filing of details in FORM GSTR-6 for months of July & August.